What’s worse than a pouting loser? A gloating winner. I’m not the kind of individual you want to play a game with if you’re the loser. The featured image is the sacred numbers of G-d being mocked as the enemy mocks all things of G-d. 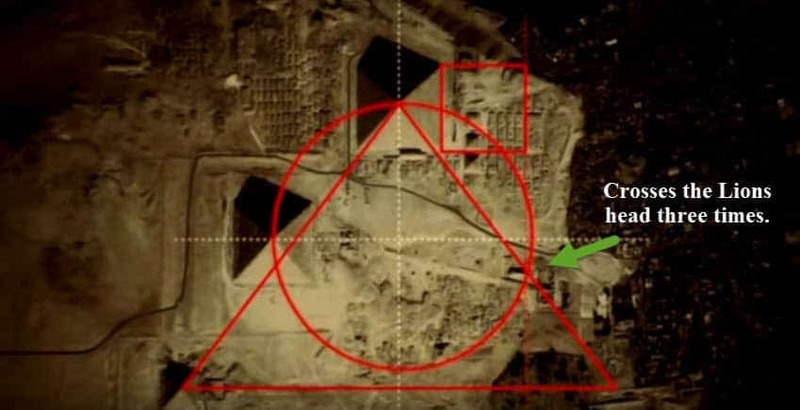 He mocked the symbol below when he made the Romans build crosses one ended up saving us all. The west is the head of Christ mind of G-d America and England represented by the older serving the younger. In 1978 in the month of May, I was eighteen years old, and that year the drinking age was lowered to accommodate our age group. The argument was if we were old enough to fight like men in a war, we were old enough to drink. That was also a time many had died in car accidents as a result of drunk driving forcing again the drinking age up to twenty-one for highway safety. Truth be known as I am today, I wish we had neither drinking or war. So here I was in May 1978 I had been going to a fellow employee’s house to play cards it was the third week I was going, it was a Thursday our payday, the men I worked with since I was fifteen were concrete foundation workers who liked their beer and loved their game. We played poker with the occasional wild card or dealers choice. The whole principal of poker was to make the other guy think you have the better hand. As the pot grew bigger so did the smile on my face. Bluffing was not my strong point. For two weeks I had won the biggest hands, and it was on the third week I heard the voice of G-d. I had heard it at age four and only felt HIS presence at age 8, 12 and 13. When I was 13, he saved my life from people who sought me bodily harm maybe even physical death, both were drug dealers, and both knew, I knew who they were and my demeanor was always the goody two shoes who tried hard at being bad. I was on Millville Street in Salem NH, (Salem for those who do not know means peace) again on my way to the same house to play cards a six-pack on my car seat. A thought entered my mind; I should do this for a living be a professional card player when at that moment I heard the five words that would change me forever. “You’re going the wrong way!”, as they came I was just coming up to my turn into the driveway of the house only to be startled and pass it by; it came again “You’re going the wrong way!”, I turned right into a street to turn around to go back the other way, and as I did on the main road, I had to wait as five vintage automobiles passed me by and in each was someone I knew. Even a couple from the house I was going to. When I got there, I was so shaken by the event that they thought I was doing drugs as I reiterated the story. My second cousin was there on my stepmother’s side whom I talked to he was trying to find out what I had taken. I asked him if he believed in the G-d and the Devil which he replied he thought there was something to it. The owner Frank insisted I leave the house his wife was a nurse and she would freak to see me there, I told them I was not on anything, but under the circumstances, it was a little hard to believe. I left and went to my brother’s house to speak to his wife she always talked as if she knew G-d claiming Father this and Father that, I had always been skeptical of the Mormon faith haveing been raised Catholic and knowing there is only one G-d. 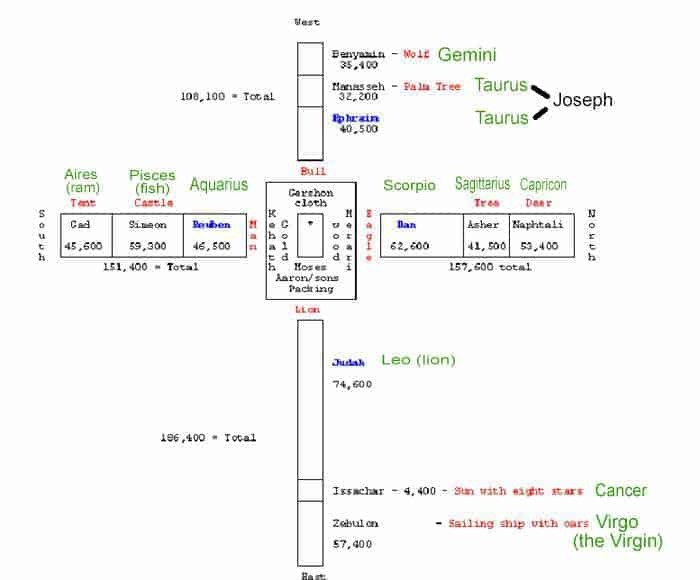 I was twelve when I picked up a copy of the book of Abraham and read how the council of gods gathered together to discuss who’s plan was better Jesus’s or his brother Lucifer’s? That’s when I put it down knowing these people don’t know there is only one G-d! Here I was I had just been spoken to by HIM so I went to discuss it with her, and my brother was half asleep with having had his daily intake of alcohol which did not want to hear it. So she sent me home with saying I will talk to you tomorrow about it. I got home still in a trauma like a state, I got on my knees and prayed, ” G-d if you are real I need you, I need you in my life, let me know you are real, please help me.” That night I slept the best sleep I ever had. Upon awakening, my eyes opened, and my room was filled with this immaculate, bright light I could see through my closet doors at suits of white hanging on hangers and a voice saying, arise and heal. ( I told a man this several months ago, hours later he was calling me a dirtbag.) It was a Friday morning I got up, got dressed in a suit and headed down the stairs to go over to my sister in laws and tell her what happened. My stepfather met me at the door and asked where did I think I was going? I told him over to Brenda’s to talk about G-d. He said it was a work day and I was not going anywhere but work and made me go upstairs and change. I was shaken he did not want me finding out about G-d and what I went through that previous night. The phone rang, and it was my sister in law, I overheard the conversation from his end. He think’s he’s going to your house I’m sending to work and I will take him to make sure he gets there. I felt a level of distrust come over me; he was sending me back to the guys who I fled from last night. In my heart, I felt the Lord impressing upon me not to trust anyone at all that day. He brought me to work explaining to me about responsibility to the people you work for. I had never been so concerned with what was going on as I was that day. I felt as I was trapped between two worlds. I went along, the owner of the company was the uncle of my ex-girlfriend who was about to marry the father of her child. Weeks earlier the men I worked with had talked about how it is the owner’s wife who made all the decisions. It was at a company gathering she did ask me what I thought of the Pope? Not my thoughts about G-d or Jesus, but the Pope? I said he was in it for the money like many others. So Protestants where do you think the harvest money is coming from? Do you want to be associated as friends without letting them know the truth? The devil has you protecting his treasures, and I am not talking about the money! So that Friday they organized a little job for me to attend, I went to a project in Hampstead or Atkinson New Hampshire where the job was rushed, and the labor costs held low to build affordable single-family homes. Men were drinking on the job site, and the boss and others were trying to help me see the light, how they were showing their version of Christian love and compassion to those who could otherwise not afford a single family home. A way seems right unto a man, but the ways are destruction. They destroyed America using the American dream. First G-d teaches us in his word to do all things as if we are serving HIM. Would G-d want us cutting corners and taking bribes like an Italian Mafia a Catholic brotherhood? He says he hates a false balance and an unjust weight Proverbs 11:1. How about a short ruler and sloppy work? Sure these people were getting cheap houses and affordable mortgages, and that seems OK, but they still do not know G-d’s word and what he likes and dislikes. We are here after all learning what’s good and what’s evil. So people who could not save for the houses that were being built by Protestants who built it as fit for a king could get one cheaper only now when the housing markets went up in value those who learned how not to budget, tithe and save. Could borrow against the equity in their house, yes it helped the economy but how will you pay it all back? We are admonished by G-d not to owe any man anything but love. Bank’s are your taskmasters, and they will show you no mercy in collecting their debts. They will have influence over the governments taking away more freedoms. Is it any wonder why America has gotten to where it is? Look how we defend the dragon and let him place his people in power positions in America we protect his treasures, and it’s not just the money. I had one minister tell me he thought Catholic’s in the authority spots in America was a good thing. Well, when I consider the influence they have over him is it no wonder why churches split and are destroyed. The half holy shaping their leader, he once covered the Spirit of the highest God. 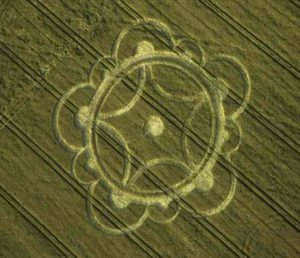 In the crop circle to the left shaping the beast, it is the ones who are half-hearted concerning their faith in G-d that shape evil. That means they are half good and half evil and not completely holy. Like the priesthood is a clear indicator of a failed understanding of the work of G-d. The video below tells you who is destroying our world and who wants to control the world’s finances. In it, they mention their little soldiers placed in our Protestant churches to protect their treasures and I’m not just talking about the money. I have cued it up to the part where they speak of their agents of darkness. Some may be unaware that they are servants of the damned, that’s why it is important if we see one turning from the faith we are to restore them. Some say they love Jesus but never cut ties with the old dogma they were fed on. Most converted Catholic’s in Protestant churches knew they were headed to hell after their “Born Again” experience. Some never had the new birth and still try to connect one with the other. They may send their kids to Parochial schools who become ministers of righteousness in Protestant churches. This was the hope of the enemy because they protect his treasures and we are not talking about money. The Church I was first a member in baptized and met my wife in. Had a Baptist minister who preached for many years without the new birth experience. So it is possible to be a preacher or a member of a church and still miss this much-needed experience, and when you have it, you cannot deny it. Just because you were raised in a church does not make you a member of the House of G-d. I told two men of G-d that the money that left America was to be used in the harvest, held by the crown of England head of the Church of the Angel’s. Technically a position in heaven held once by Lucifer then Abel. One was a Pastor the other the treasurer each three months apart, and both repeated the same exact phrase to me. “G-d does not need money to have a revival?” One said Pyramid’s would confuse us and that G-d had no hand in placing the numbers in HIS Bible. Not long after this G-d brought this lovely saintly woman to our church, who had the vision to reach out to the community using cookies. I believe when you seek to serve in Jesus name it is always G-d honoring. What is it that G-d wants to do with the money Rome spent on America? No G-d does not need money for revival; he can build into public schools places where Christian children can study their Bibles by donating cookies to the public municipalities??? I thank G-d he placed this in the heart of this woman to hand out cookies. However, the cookies were a metaphor to me that the church has become to Catholic for my liking. I will not budge on this; I am here to end the Catholic delusion and the alien delusion it is the only way to get that temple built and bring about middle east peace. It’s not about taking away land it is about lifting Jesus up the only peace plan G-d has made, and it has been with us 2000 years. I went to a church in Salem NH in 2009 and proclaimed I won, I won, I won after the Lord tagged me it! Revival almost broke out there then the Pastor a long time acquaintance told me I could not make others think I was better than they and he was right. I am not, but I am better than the one I one I was up against, and so is everyone else. So how was I going to do this and give others the impression I am as humble as Moses. So according to some ministers I’ m not to be known as a victor over the loser? That HIS story “Jesus” is written into my life should not be spoken of? That I live in the town the first American from Space is from Alan the good Shepard should not be known? I see it shouts resurrection, don’t you? That my last name divinely given to me means Beautiful place should not be spoken of? That the town in England that has that same last name as I that has a Transportation Museum in it and coincidently I am in the transportation industry what luck. G-d hid treasure in the Old Testament and reveals it in the New Testament. Old England, New England and I am no treasure to G-d at all? Well, the loser has a lot of followers who feel the same way, and they serve in the church. If you seek me with all your heart, I can be found! If I am lifted out of the Earth, I will draw all men to me. Then HE took me to Egypt where I saw HIM! 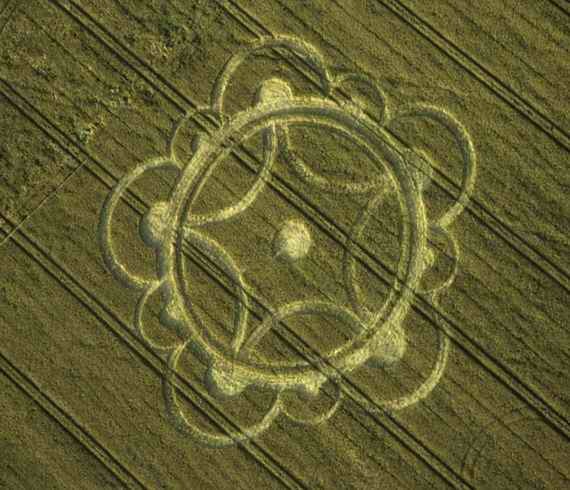 Pointing to the pictures that open up the Bible done in crop circles and giving away trillions in the name of Jesus is a bad thing how? WAKE UP PEOPLE IT’S OVER! And have we learned anything? Lifting Jesus up and helping those in need should be high on the list! Rebuking the priesthood and paying off our debt while allowing Jesus to take care of our sin debt of primary importance before going home. The demons will not confess they were behind the building of the lion or that his honor is worth the world. Those who don’t will be those who get left behind only to be chased to their beheadings as the revelation reveals.